The Commercial Aircraft Corporation of China Ltd. (COMAC), which is the state-owned aviation manufacturer, unveiled the first C919 aircraft at its factory in Shanghai, the People's Daily Online reports. 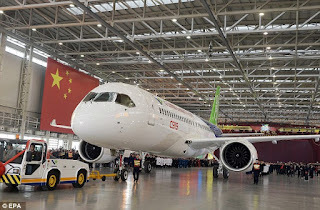 China - the second largest economy in the world - is now seeking the prestige of having its own aviation sector, and to challenge foreign giants Airbus and Boeing for market share. The single-aisle narrow-body jet is designed to seat 168 passengers, and has a standard flight range of 2,532 miles (4,075 kilometres), which means the aircraft can fly non-stop from Shanghai to Kuala Lumpur or from New York City to Los Angeles. 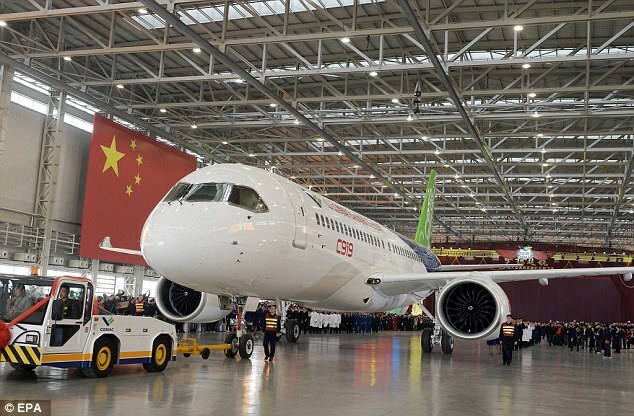 Its debut is considered by Chinese media as a breakthrough in the history of the country's civil aviation industry as well as the start of a new chapter in China's high-end equipment manufacturing. 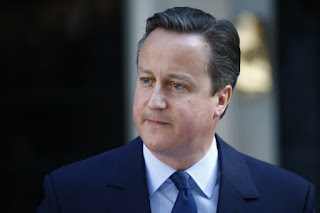 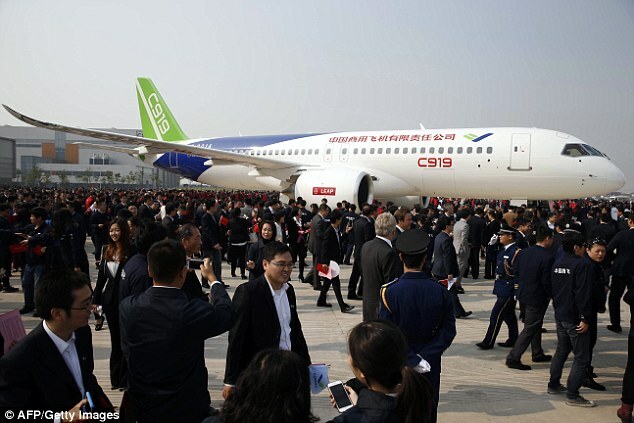 Journalists have already compared the brand new aircraft with the famous Boeing 737 and Airbus 320 passenger planes. The made-in-China aircraft is due to make its maiden flight next year and then begin test flights for about three years before being put into commercial use. 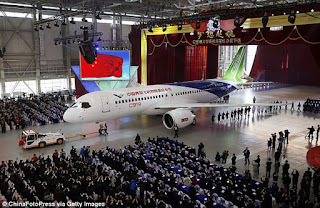 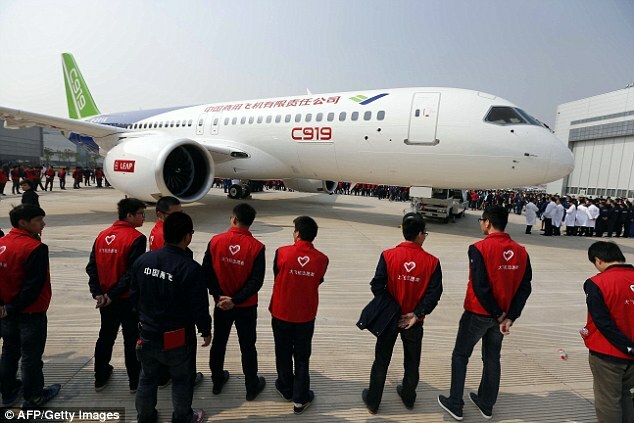 COMAC is yet to release the price tag of the jet, but a report by China National Radio in June predicted that C919 was likely to be priced at £32 million (US$50 million), which was up to 30 per cent cheaper than a Boeing 737 or an Airbus 320.